With firm commitment to quality, we are engaged in manufacturing and supplying a wide array of excellent quality Banana Crates. 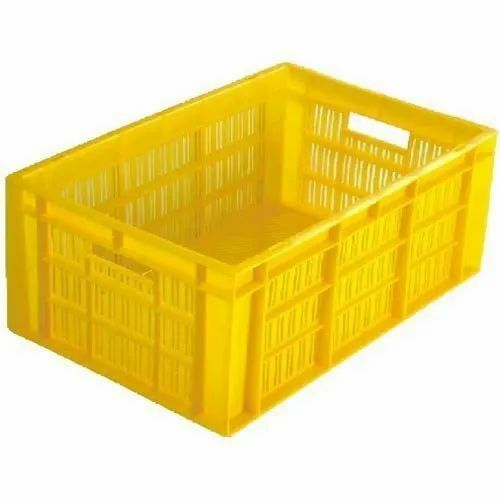 Manufactured using superior-grade polymer and HDPE granules, these crates are designed in adherence with the international quality standards & norms. Further, to deliver a defect-free range of crates, our quality analysts carefully test it on various pre-defined parameters. Jain Plasto Pack since 2012, with an affirmation to manufacturing and exporting a high-quality range of Plastic Sheet and Pot. Offered products range consists of Seedling Tray, Plastic Crates, Packaging Tray, Vacuum Forming Tray and much more. Our product range is perfectly designed using high-quality material as per predefined industrial quality principles. In adding to this, our range of products is renowned for attractive attributes like sturdy design, easy to use, strong construction, lightweight, and low cost. We are backed by a well-experienced team of professionals who work in complete passion to enable the quality range of plastic sheet and pot. In addition to this, our technical unit has always assisted us in the preliminary design phase of our assortment ensuring plastic sheet and pot conforming to the set industry parameters.